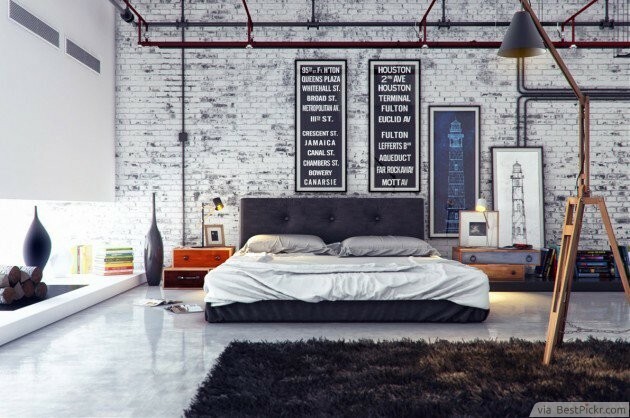 The key in making an industrial bedroom look modern and sophisticated is in the arrangement of structural items. You have to position them in such a way that they will be more of a decor than plain objects. There should also be just one dominant color-- the room is made alive by playing with the shades. Architectural wall art and contrasting textures will also make it more appealing.